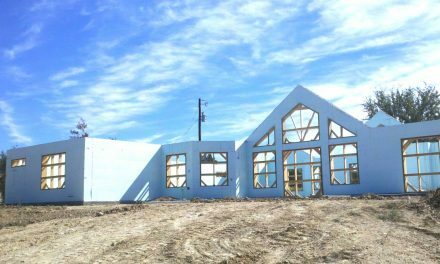 Jun 17, 2010 | Disaster Resistance, Featured Stories, Light Commercial, Project Profiles, Why ICFs? Built in the middle of America’s Tornado Alley, the National Bank of Commerce Operations Center in Oklahoma City is built to withstand Mother Nature’s worst. But besides being built to minimize nature’s impact on the bank, the opposite is also true. The project uses half the energy of a conventionally built bank. 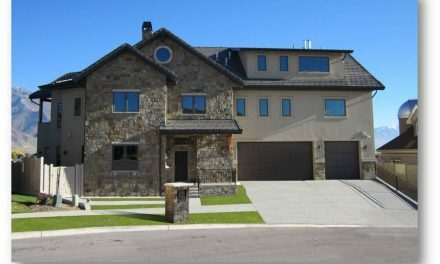 Owners were originally going to build the project with conventional materials, but the general contractor and ICF installer were convinced ICFs could do a better job of providing the energy efficiency and disaster resistance the owner wanted. 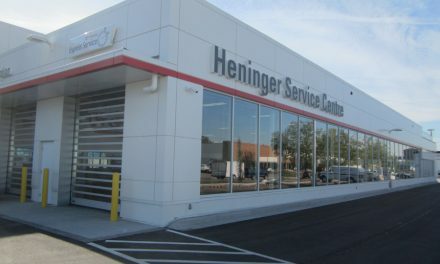 After explaining the product—and providing a year’s worth of utility statements for a similarly sized job nearby—the owner became convinced as well. This National Bank of Commerce branch is technically a “residential style operations center,” which means that in addition to regular bank traffic, it also houses a network of computer servers used to track financial operations. Designers also had to ensure it blended into the residential neighborhood surrounding it. 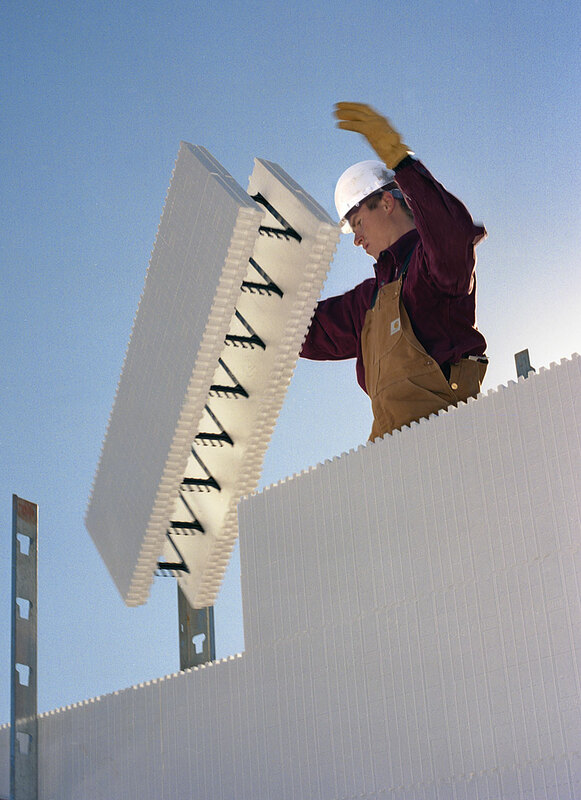 Good thing ICFs are versatile. 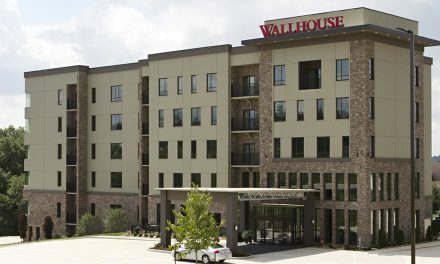 “Designers were impressed with how easily the ICF walls interfaced with other building and finishing products,” says Michelle Spurlock, former marketing manager at BuildBlock Building Systems. 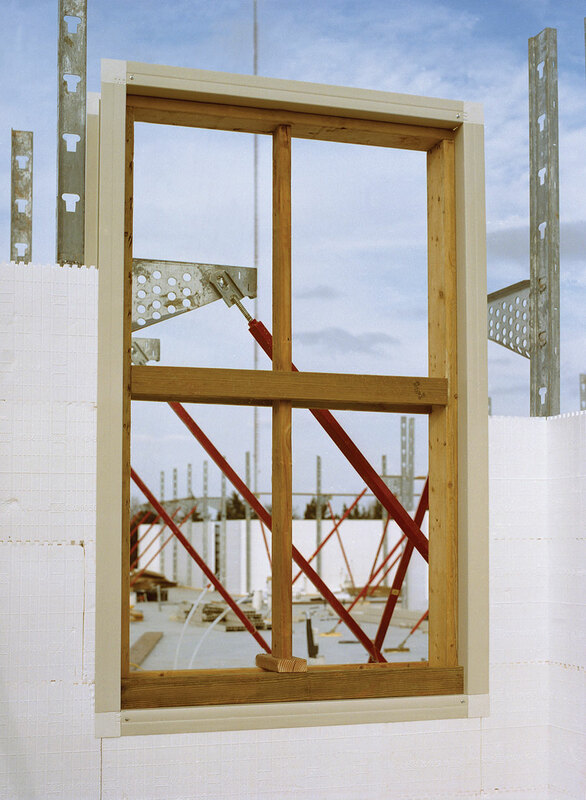 BuildBlock provided the ICFs for the project. 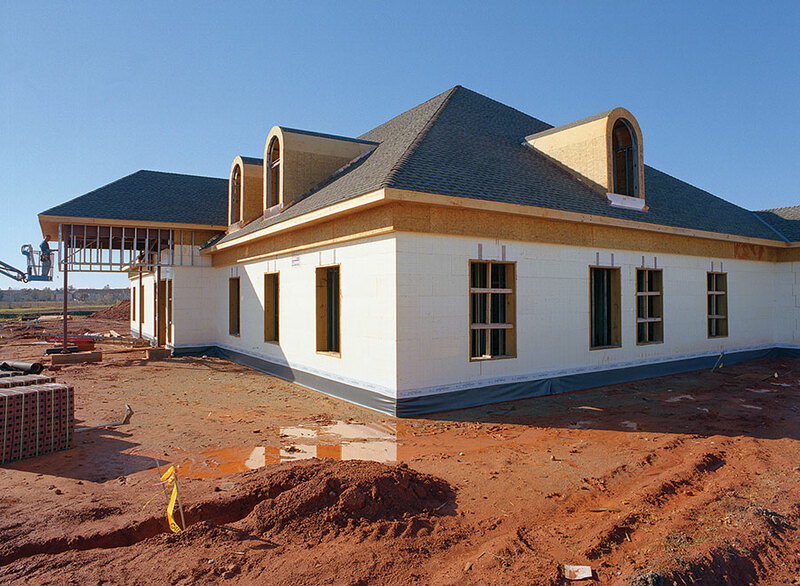 Because of the threat of tornados, ICFs were used for all exterior walls. They were also used extensively for interior walls. The vault area and the computer data server room, for instance, have ICF walls. Both areas are topped with an ICF roof covered with several inches of steel-reinforced concrete. But the building looks nothing like a concrete bunker. 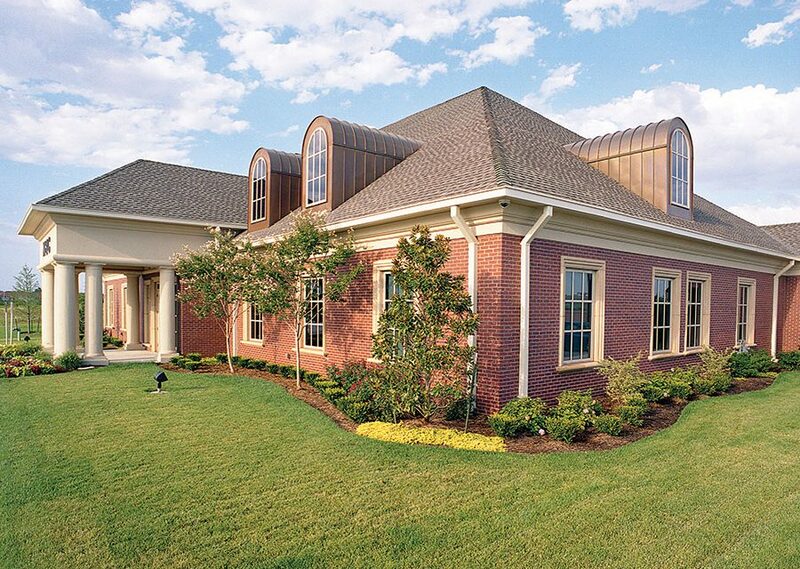 The airy, red brick bank blends seamlessly with the houses around it. 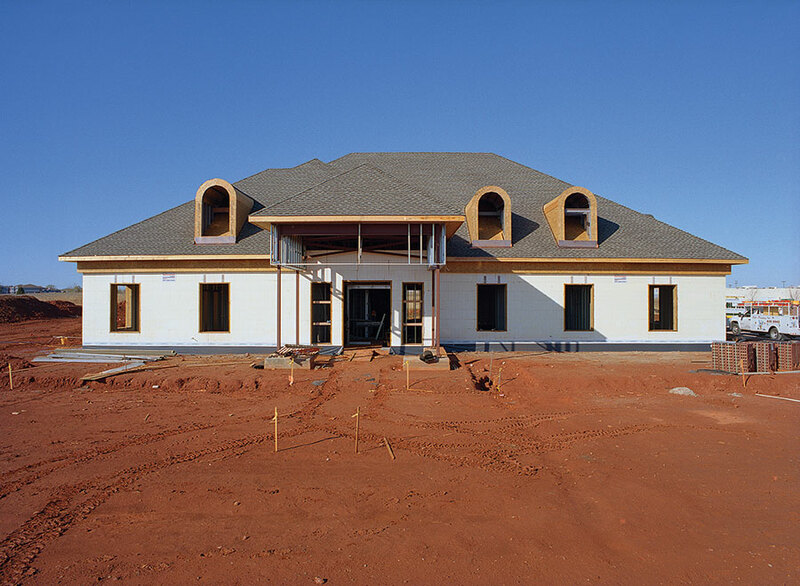 The hip roof was insulated and reinforced with spray-in urethane foam to an R-50 insulation value.